Carphone Warehouse takes on iTunes and Spotify with Music Anywhere service | What Hi-Fi? Its Music Anywhere service, which costs £30 a year, gives users access to their entire music collection from almost any internet-enabled device through Carphone's My Hub portal. The service, which uses Catch Media's Anywhere technology, matches tracks in your iTunes or Windows Media Player library with its catalogue of six million songs from all the major record labels to create a duplicate song stored in a 'cloud'. This library can then be accessed remotely through a PC, laptop or smartphone via a web connection. If the track cannot be found in the Music Anywhere archive, a digital copy of the song or recording is made and automatically added to the user's online account. 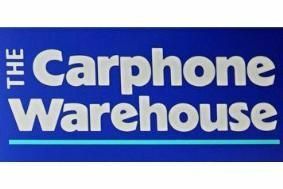 Carphone Warehouse has developed a series of smartphone apps for iPhones, Blackberrys and handsets running Google's Android operating system, which pull in the 500 most played songs and store them on the portable device so they can be listened to even when there is no internet connection available. "The new Music Anywhere service lets you listen to your favourite songs wherever you are, through any computer or by downloading the mobile app," says Tom Guy, group head of digital services at Carphone Warehouse. "It takes just a few minutes to set up, but it means you can have thousands of tracks available from home, at work, on the train or in the car."